Hello everyone! This is Niner from niner bakes, and I will be sharing a sweet green smoothie parfait with you today! It contains the best ingredients, including the superfood chia seeds! 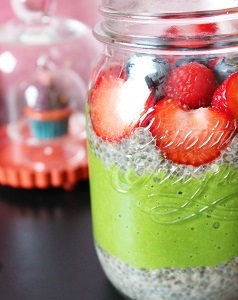 I love chia seeds and I use them in my smoothies and cereal every day! In case you’ve never used them, give them a try. Chia seeds are rich in Omega-3 fatty acids and high in fiber, which helps lower cholesterol levels. They are rich in antioxidants, which helps protect the body from free radicals. They are also gluten-free and can be used as a replacement for eggs. 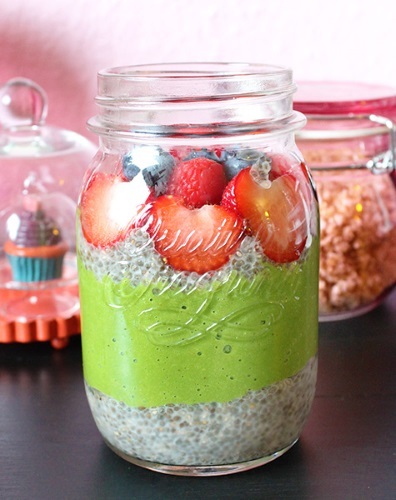 I usually feel fuller when I have chia seeds in my breakfast or smoothie. The texture is wonderful and so yummy! Paired with a green smoothie and fresh fruit, it is a delightful treat. Your body will thank you big time for incorporating this into your diet. 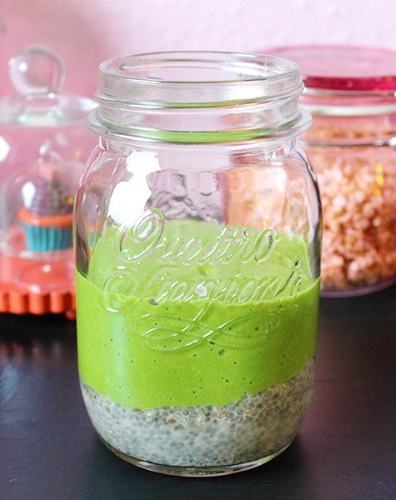 I hope you will enjoy your chia seeds experience with this recipe. The green smoothie is very thick and creamy, which is important when making layer desserts. Runny and thin smoothies will not work as well because the layers might fade into each other. This recipe requires some advanced preparation, as the vanilla chia pudding will need to sit overnight in the refrigerator. In a medium bowl, add all ingredients and let it sit in your fridge overnight. It will be a gel like consistency! Place all of your greens and liquid (a little less, you can always add more later) in your blender and blend until very smooth and creamy. To serve, pour in a mason jar or glass and enjoy! 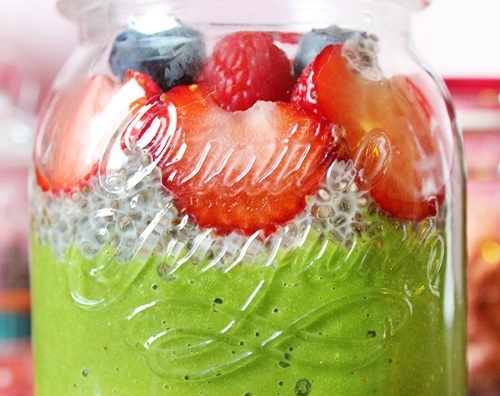 Make sure to leave some for the vanilla chia pudding! *With every recipe you are blending, I recommend tasting and tweaking it as you go. Feel free to tweak/sweeten your smoothies until you are satisfied with the outcome. 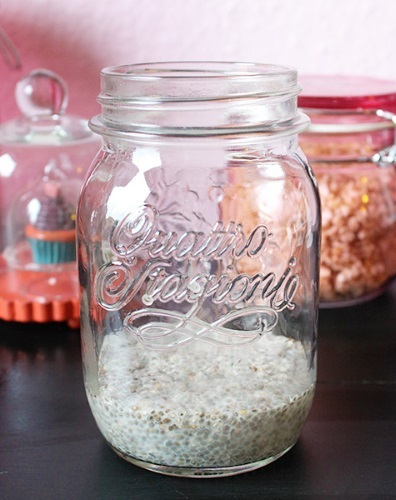 Layer any jar/glass/mug starting with the vanilla chia pudding. Add another layer of chia pudding and top with fresh fruit (I used strawberries, blueberries, and raspberries) to make it even more delicious. Good sharing, for healthy purpose, chia seeds offer the highest volume of Omega-3, as well as addition fiber (soluble and insoluble) along with vitamins or perhaps minerals you don’t usually get whenever you take sea food oil.